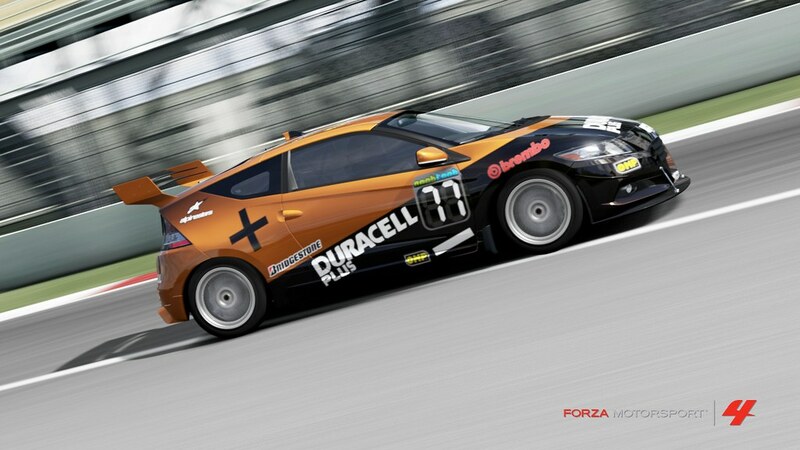 The Forza Motorsport 4 Paint Challenge - Win some DLC!!! Who likes free stuff? That's right, you do, that's who. Littleg is looking for the most fantastic-looking F-class race car you can design. Your design can be wholly original, based on a real-life race car or inspired by a racer from another game/series. 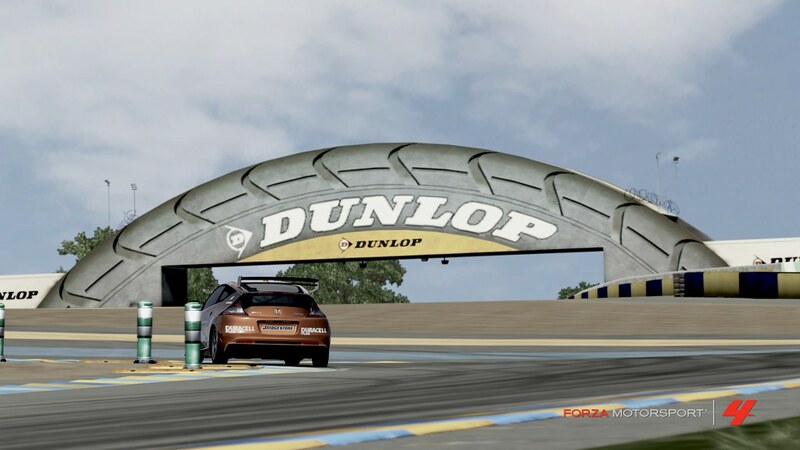 The idea at the end of this process would be for us all to potentially line up on a race grid in a NoobToob Forza event and it to look like a real-life race series. Optional: Include a brief description of your car - who is the main sponsor? 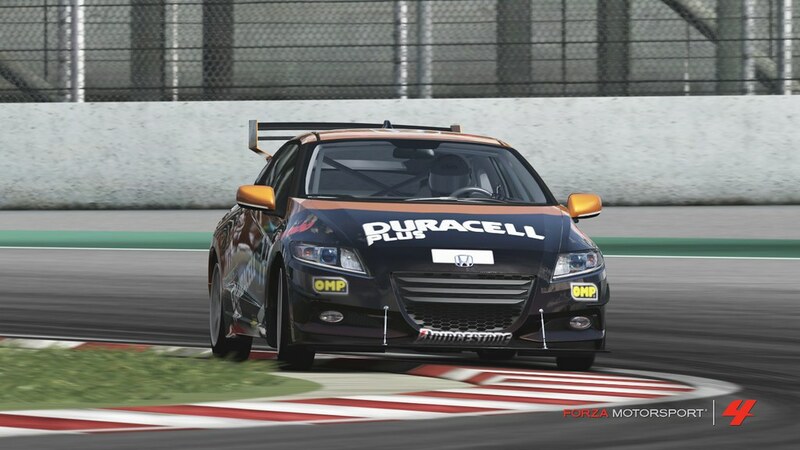 What is the name of the racing team it is from? Is it inspired by a different car (if so, some pictures of that would be helpful)? Designs will be reviewed by me and one other, independant judge and we will award a single winner (with possibly some honourable mentions). Criteria will include Realism (does the design look 'beleivable' as a race car? ), originality (for original designs) or faithfulness (for designs based on real cars), technical skill (how well have the vinyls been used? Does the design feature logos made by the competitor, and do they look accurate?) and artistic merit. Bear with me, as I'm not entirely sure how we'll make this work (or even if we can) but I will gift the winner the next DLC pack for Forza 4. If that pack doesn't interest the winner, I'll gift one of the previously-released DLC packs of an equivalent value. Are entries required to be posted here or are submission accepted by other means also? Entries posted here, please! This should be an open competition with everyone able to see everyone else's entries. I've probably got about five or six failed attempts for entries into this contest; took me a long time to get something I was happy with. The close second for my choice was a Delorean paint, but I'd used so many vinyl groups from the storefront that I just wasn't very happy with it. It also lacked pretty much anything even resembling a theme. Instead, what I ended up going with for my actual entry was a Golf Fox. I'm pretty happy with how it turned out; it's not the most complicated design, but it's at least clean. One of the hardest things was just finding a car that I liked the look of. A lot of the F class cars are either kind of old classics or generally unsightly tiny hatchbacks. I thought the fox looked fine after I found out I could change the front bumper for a regular one though, so it's what I ended up sticking with. I'd also tried the Lacetti, the Pinto and the Hummer, but never ended up with a look I liked on any of them. Sweet Winsord. I like the fat 'Formula Drift' logo right in the middle of the picture of you drifting :) . Well, there we have it, the deadline passed some time ago, which makes Winsord our winner by default. Default! The two most beautiful words in the English language!